MIAMI SOCIALHOLIC » Blog Archive » Don’t Miss: Food Trucks, Hearts and Stars, SUSHISAMBA, BLO, and Dance NOW! Don’t Miss: Food Trucks, Hearts and Stars, SUSHISAMBA, BLO, and Dance NOW! 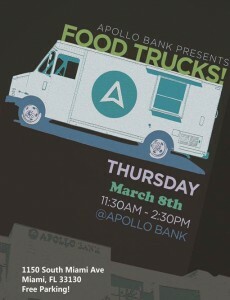 Join Apollo Bank this Thursday, March 8, from 11:30 a.m. to 2:30 p.m. for the best lunch in town! Come mingle at the community bank and enjoy munching on all of the delicious food from some of Miami’s best food trucks. Food trucks include Ms. Cheezious, Gastropod, Sugar Rush, La Camaronera, and Cuban Cube. Free parking available. **DUE TO THE WICKED WEATHER, FOOD TRUCK LUNCH HAS BEEN POSTPONED UNTIL THURSDAY, MARCH 15! South Florida’s premiere social and philanthropic events make its return on Saturday, March 10 at the waterfront estate Shangri La on Hibiscus Island. Benefitting the Little Lighthouse Foundation, the anticipated celebration will feature an evening of cocktails, delectable cuisine, fashion, and an incredible silent auction. 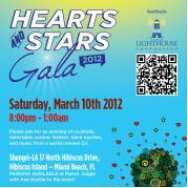 For more information and to purchase tickets or VIP tables, visit www.heartsandstarsgala.com. Ticket prices are currently $125.00 for general admission and $175 for VIP access. All proceeds from Hearts & Stars Gala benefit The Little Lighthouse Foundation (LLF). www.thelittlelighthouse.org. For sponsorship information or for additional information, contact Jason Venger at info@thelittlelighthouse.org. SUSHISAMBA dromo continues its popular after-work affair, SAMBAHOUR, by celebrating the diverse cultural background and culinary inspirations of Brazil, Japan and Peru. This month, every Sunday through Thursday from 4:00 to 7:00 p.m., SAMBAHOUR will showcase the distinct tastes of Brazil with food and drink specials as well as surprise entertainment from contests, lessons and holiday celebrations to unique, cultural performances. For more information and menu specials visit www.sushisamba.com. Join Blo Brickell on Wednesday, March 14, to preview online retailer, Accessory Artists, who will be in-bar with a collection of fashion, fine and vintage jewelry. 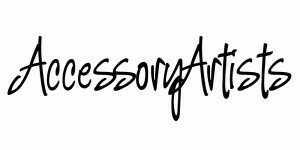 Marcy Roth, curator of AccessoryArtists.com is bringing fashion favorite labels Kara Ross, Vanessa Mooney, Zariin, Isharya, Rachel Reinhardt, Lee Angel, Deepa Gurnani cuffs, Pame Designs, Kelacala Q and Saily Kay, to name a few. Jewels will be up to 50% off. 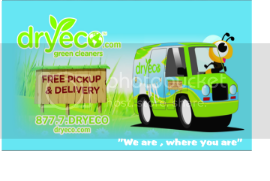 The event runs from 5:00 to 9:00 p.m. For more information and to rsvp go to blobrickell@blomedry.com. On Saturday, March 17, Dance NOW! Miami returns to the Little Haiti Cultural Center. This stunning and newly renovated historic venue will host a concert for suitable for all ages. Dance NOW! has invited students from the Academy of Arts and Minds Dance Department to join the company presenting work choreographed by Directors Diego Salterini and Hannah Baumgarten. Tickets are priced at $10 at the door or online at www.dancenowmiami.org. Don’t Miss: Tosca, Saks Loves Your Cause, SOBEWFF 2013…….